The Nagaland Government has provided 14 highway patrol vehicles to curb criminal activities along the highways in the State. 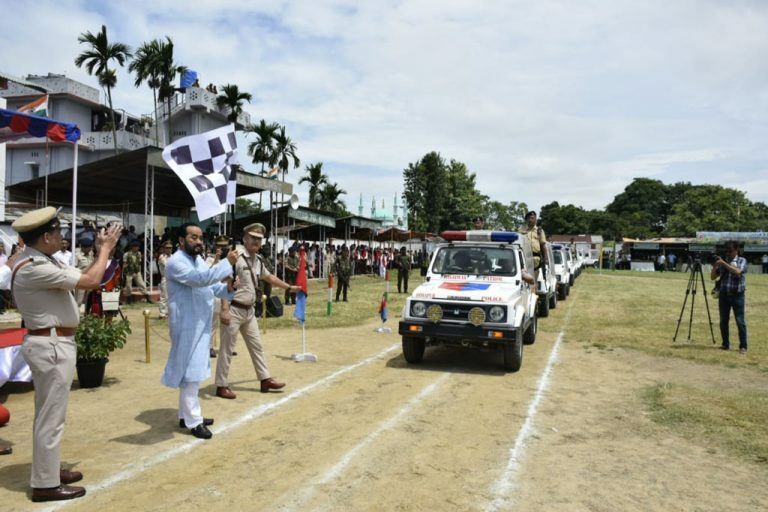 The keys of the vehicles (Maruti Gypsy) were handed over to the district enforcement units by Nagaland Deputy Chief Minister Y Patton at Dimapur. The vehicles are meant for highway patrolling in Kohima and Dimapur districts besides for interior police stations in other districts. Two vehicles each were allotted to Kohima and Dimapur districts while the other 10 were for the other districts. Crimes such as extortion, kidnapping, intimidation etc along the highways in Nagaland are a commonplace. Notably, the driver and handyman of an oil tanker were abducted by unknown miscreants in Tuensang district on April 22 last. Meanwhile, four associations – Kohima Petroleum Dealers association, Dimapur Petroleum Dealers association, Nagaland Tanker Transport Association and Oil Tanker Drivers Union – had called for an indefinite closure of all oil pumps and transportation of oil in the State on April 30 demanding safe release of the driver Tularam Buragohain and the handyman Adman Surin. However, the security agencies secured the release of the duo on May 2 last.